NOTE: To Avoid Duplicate Charges Please DO NOT USE your browsers Back Button. 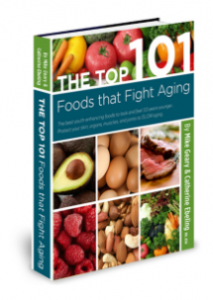 "The Top 101-Foods that FIGHT Aging!" Yes! Please include The Top 101-Foods that FIGHT Aging exclusive upgrade to uncover nutrition and diet secrets that not only help you lose your stubborn stomach fat, but also look and feel 5, 10, even 15 years YOUNGER! This is a one-time only investment of $9 (80% OFF)! Please take a couple minutes to read the information below and you'll discover how this information is the PERFECT companion to 'Lean Belly Now.' You're going to uncover nutrition and diet secrets that not only help you lose your stubborn stomach fat, but also look and feel 5, 10, even 15 years YOUNGER! Special 80% Discount For "Lean Belly Now" Customers Only! Learn 52 sneaky tricks to counteract the 3 most harmful processes contributing to faster aging in your body... glycation, oxidation, and inflammation. Eating too much trans fat can harm your cell membranes... but eating more healthy fats can help reverse that harm. We'll show you 11 of the healthiest (and delicious) fat sources that can balance your hormones and protect your cell membranes. How to use 5 tasty "fatty" foods to protect your skin and give it a more youthful appearance. And you'll be surprised to know that even some saturated fat sources can be very beneficial for you! 80% of people are deficient in a vital mineral that is necessary for proper carbohydrate metabolism... are YOU? 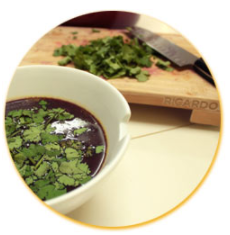 An unusual herbal ingredient that most people have never heard of that is not only a strong anti-oxidant, but also helps you maintain lower blood sugar and thereby reduced formation of aging compounds in your body. Discover the SINGLE most important vitamin that can help prevent accelerated aging. In fact, one study found that having adequate levels of this vitamin can make you equivalent to 5 years younger from a cellular level based on telomere length. 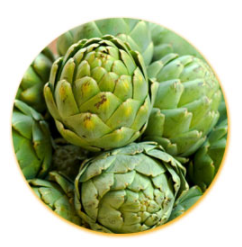 Do you love grilled or steamed artichoke? Good news... find out why this helps to prevent aging in your body! Beware of these 3 sinister food additives (that age you faster) that are added to many of the packaged foods that you probably buy at the grocery store. You'll see exactly how to avoid these nasty additives to protect your body. 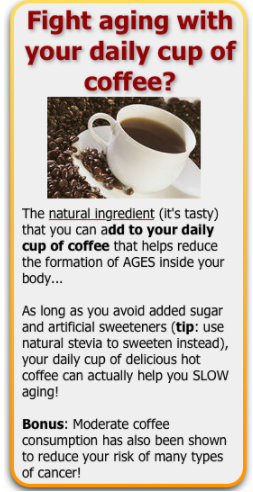 Learn which types of drinks are 10x more likely to cause glycation in your cells (which ages you faster), and delicious alternative drinks that actually FIGHT aging. How soaking any meat in this natural juice before grilling can significantly reduce formation of exogenous AGEs in the cooked meat. This means healthier meat helping to support your anti-aging goals. 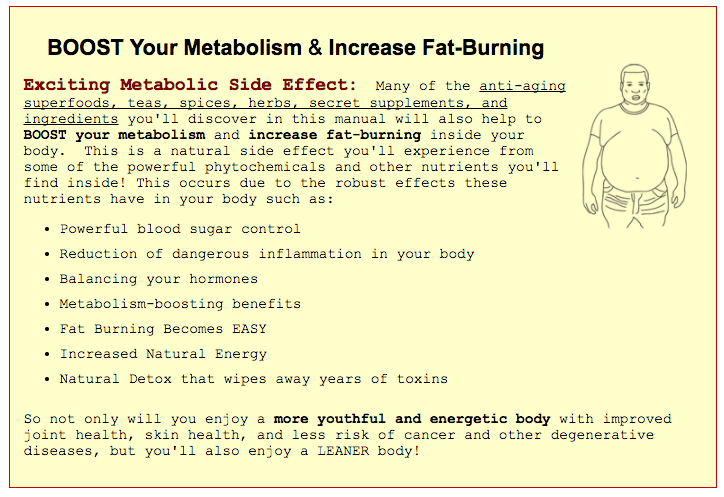 … All you have to do is follow these simple, easy, and scientifically PROVEN nutrition secrets. 13 unique spices that protect your body from aging on a cellular level... and I bet you're not currently using at least half of these anti-aging spices! Three of these unique spices can be used to help naturally lower your blood pressure. 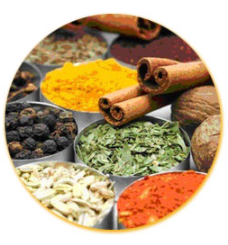 And at least FOUR of these spices have been found to exert potent metabolism-boosting effects! You'll also learn our favorite "super-spice" that enhances your BRAIN function! A unique amino acid you can take that actually "counter-attacks" formation of AGEs in your body, thereby fighting one of the worst processes that contribute to premature aging in your body. Some types of meat accelerate aging, while other types of meat can actually FIGHT aging...learn exactly how to choose the right meats and how to prepare meat to make any meat dish MUCH healthier! The herb you probably aren't currently using that contains powerful phytonutrients that COMBAT age-related damage to your organs, skin, and joints. A surprising fruit that I bet you aren't eating (delicious, by the way) that studies show helps to fight inflammation in your joints... if you want to maintain healthy joints and keep active as you get older, this fruit should be in your weekly repertoire! Discover how mushrooms have unique nutrients that can help you stay young and prevent disease! What does "collagen" have to do with aging and how can you use this to look 5-10 years younger? We'll show you inside! The 13 richest Vitamin C foods that help rebuild your collagen. And DOZENS more anti-aging tricks to SLOW the aging process in your body to a crawl, and look and feel a decade younger than your real age. You've already made the decision that your health, and the health of those you love is very important to you with 'Lean Belly Now', which makes 'The Top 101-Foods That Fight Aging' is the perfect companion to your order. You'll discover dozens of diet and nutrition tricks - all simple and easy - that can quite literally make you feel 5, 10, even 15 years YOUNGER! Imagine how great it will feel when you are able to wake up in the morning FULL of energy, without needing to reach for that giant mug of coffee. Picture the smile on your face when the reflection you see in the mirror is smoother, with fewer wrinkles, and has a healthy and vibrant glow. Imagine how great you'll feel when your joints stop aching and you're able to move with ease! This is a no-brainer if you want to feel and look 10 years younger (and lose body fat) ... so let's get you started right now! The regular price for 'The Top 101-Foods That FIGHT Aging' is $39, but your special discount is $30 which brings the price you'll pay today down to only $9! NOTE: Special 80% Discount For "Lean Belly Now" Customer ONLY! No thanks, I realize this is my one and only chance to activate my 80% off discount that will uncover nutrition and diet secrets that not only help you lose your stubborn stomach fat, but also look and feel 5, 10, even 15 years YOUNGER! However, I don’t need any more help and your Top 101-Foods that FIGHT Aging will only slow me down. I will pass on this generous offer forever.